MK Dons have signed former Coventry City winger Carl Baker following a trial with the League One club. 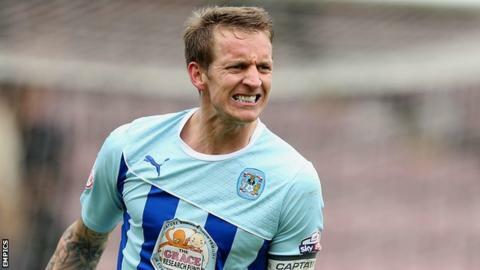 The 31-year-old was released by the Sky Blues this month after playing 182 times in four years. "He's definitely not coming here for money. He says wants to be part of it," said MK Dons boss Karl Robinson. "He's not one I needed, I wasn't looking for someone of that ilk. He'll add tremendous depth and strength to the group." Baker is a former Southport, Stockport and Morecambe midfielder who scored 28 goals for Coventry before his departure three weeks ago. He added: "There were a few clubs interested in me but I wanted to come here for a number of reasons, the manager and his style of play being a big factor. "Hopefully I can come in and help the club kick on."